Home / Entertainment / Why Enroll Kids To Ballet Dance Classes? Why Enroll Kids To Ballet Dance Classes? Nowadays, children are more into inactive activities, like playing video games, gaming consoles, mobile games, watching television and are not into motion. Hence, they are becoming obese. Therefore, they do not follow exercise schedule. Hence, ballet classes are a perfect opportunity for the kids to be active and learn some healthy steps. Moreover, they will become flexible, learn good posture and get strength. It is a good fitness mantra that will help them maintain their body shape, figure, and keep them fit while doing different dance postures and steps, even if they do not become professional ballet dancer in the future. Little ones often lack concentration, as many things are there to distract them. However, concentration is not a big deal for the kids associated with ballet dance. While paying attention to the lessons during dance class, improves their concentration level. While learning new moves and steps or wiggling to the music is altogether fun for them, it also teaches them to be focused and pay attention to the things. Moreover, they will become more disciplined, as during classes, they will learn to follow the steps, instruction, and listen properly to the teacher. Thus, this will inculcate the habit of discipline in them. Some kids love interacting with people, while some are introvert and shy. They do not easily interact with everyone. 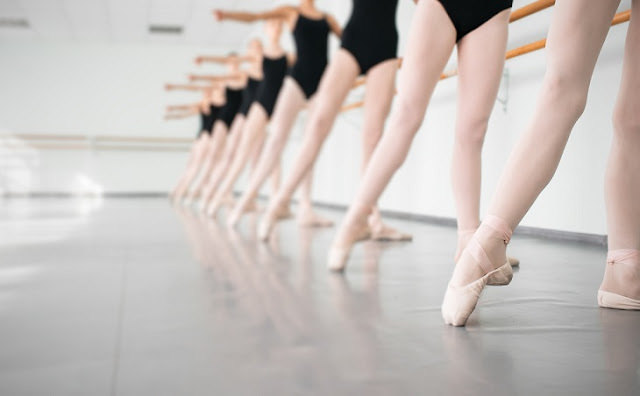 Therefore, enrolling them in ballet classes will help them instill high confidence level and they will build socializing skills while interacting with the instructor and other kids in the class. They will learn how to work in a group dynamics and get a lot of opportunity to interact with others. They will make friends and might help each other in learning steps. Thus, it will also foster the spirit of teamwork, as they perform ballet dance in a team. Choosing the right ballet dance studio/school/teacher for your kid is vital as only a skillful teacher with the qualities can guide your kids to develop the dance passion. For this, you can take the help of parents of your kid’s friends. They might know some good instructor or school, who teaches ballet to kids and know how to deal with the kids while teaching them the dance postures. You can even search on the internet for the kids’ ballet dance classes. You have to look all these things and qualities of a dance teacher for teaching your child ballet dance. Therefore, by doing so, you will be sending your kids to the right instructor, where they will get to enjoy, have fun, learn, exercise, and become self-confident.